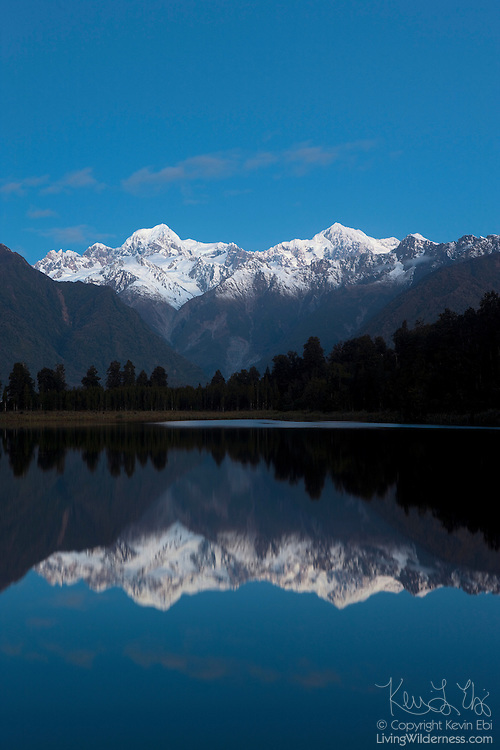 Mounts Tasman and Cook, New Zealand's two tallest mountains, are reflected in the still waters of Matheson Lake just after sunset. Tasman, at left, is 3497 metres (11,473 feet); Cook is 3754 metres (12,316 feet.) Both mountains are part of New Zealand's Southern Alps and are located in Westland National Park. Mount Cook is also known as Aoraki, the name it was given by New Zealand's first settlers.